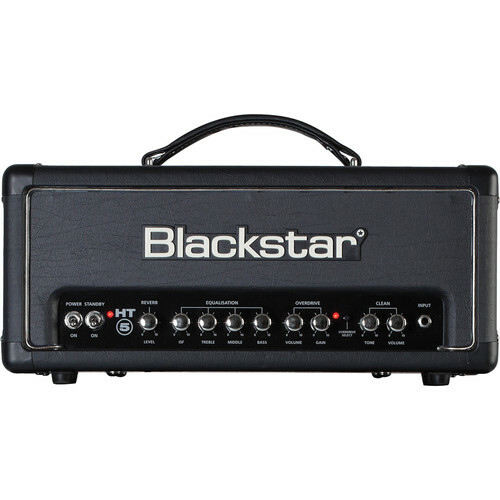 The black HT-5RH from Blackstar is a 5W tube guitar amplifier head with two channels for Clean and Overdrive, and built-in digital reverb. An included footswitch allows you to easily switch between the channels. 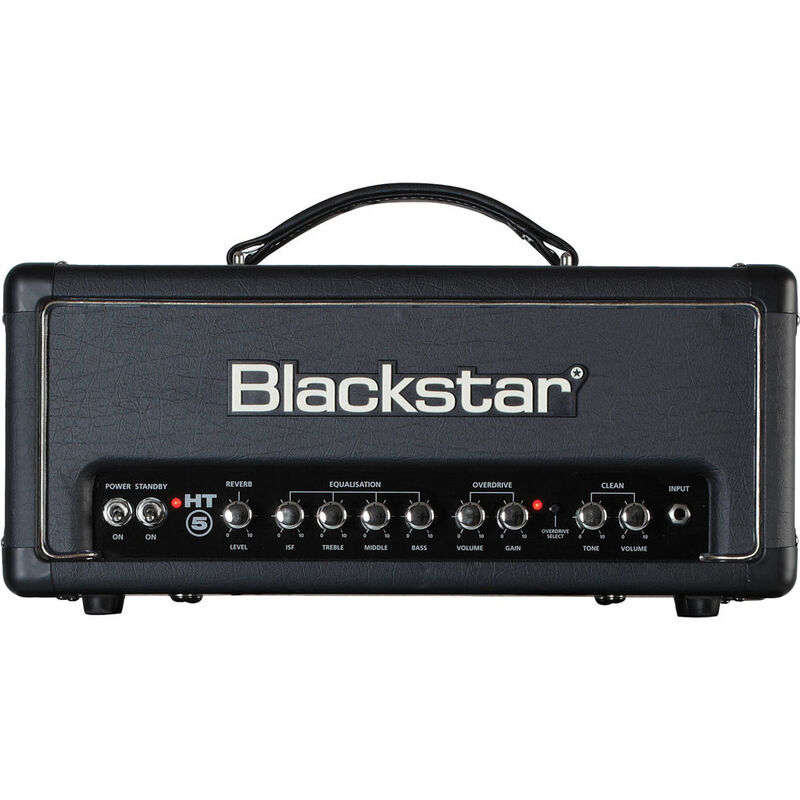 The amp's compact size and versatile features make it ideal for recording, practice, jamming, performance, and more. Using a 12BH7 tube for rich harmonics and compression, the HT-5RH's power section features a low-powered push-pull design capable of producing the crunch and break-up characteristics of a traditional 100W output stage, but at a much lower volume. An ECC83 tube is used to drive the preamp section. The HT-5RH also includes a stereo speaker emulated output, which allows you to send the lush tube tone straight to tape or disk, or through headphones. A voicing switch allows you to change the tonal characteristics of the emulated signal between 4x12" closed-back or 1x12" open-back cabinet types. Furthermore, the speaker emulated output can be used at the same time as the internal speaker or an extension cab; it provides headphones-free monitoring or the choice to blend a mic'd speaker and an emulated signal together when recording. Also, the speaker output can be turned off for silent practice or recording. Add to this an effects loop with switchable level enables you to use it with either guitar-level effects such as stompboxes or pro gear, 16 and 8 Ohm speaker outputs, and a stereo MP3/line input to allow you to jam along with your favorite tracks, and you have everything you need for recording or practicing. Box Dimensions (LxWxH) 20.8 x 12.7 x 12.4"